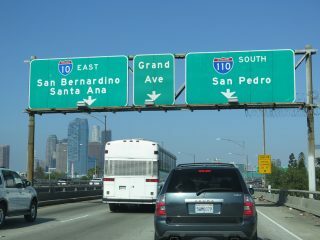 Interstate 110 south of the I-10 over crossing at Downtown Los Angeles. Photo taken 07/08/18. 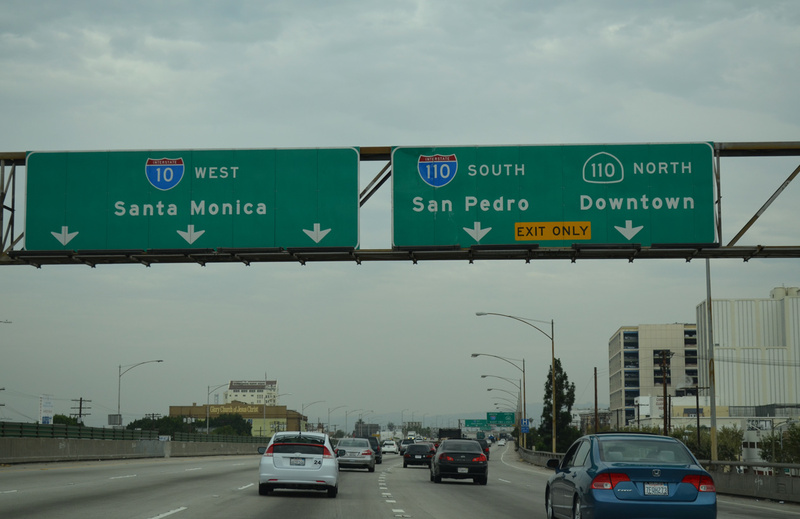 Connecting the San Pedro community with Downtown in Los Angeles, Interstate 110 follows the Harbor Freeway north from State Route 47 to Interstate 10 (Santa Monica Freeway). 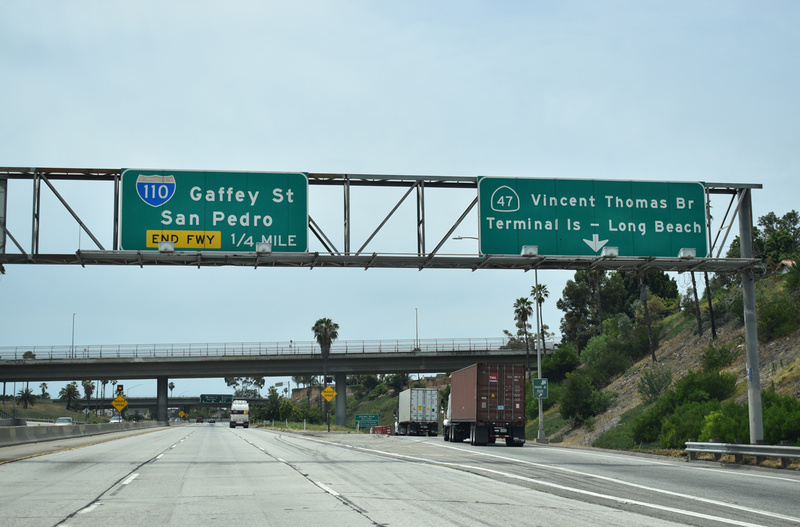 A heavily traveled route, I-110 serves as a major commuter route through the heart of South Los Angeles as well as a commercial corridor to the Ports of Los Angeles and Long Beach via the Vincent Thomas Bridge. A portion of the Harbor Freeway one mile south of Interstate 10 was upgraded with the addition of a separate transit and carpool roadway. 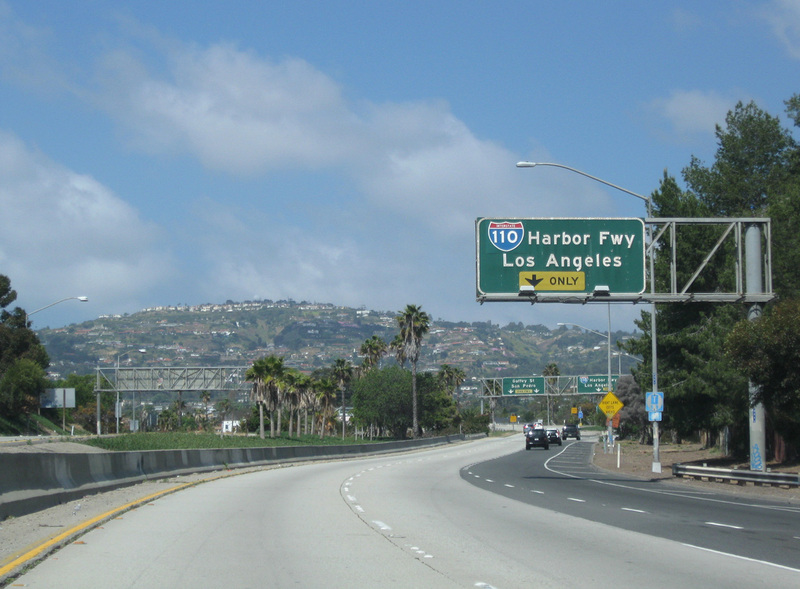 It includes an elevated section above the below grade portion of the Harbor Freeway. The viaduct ends with a stub by the West 28th Street overpass. 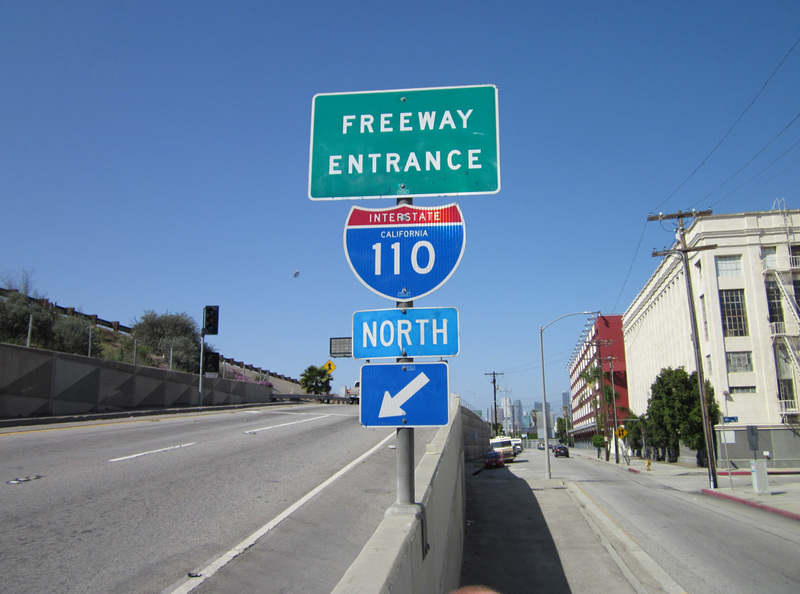 State Route 110 extends north from the I-110 portion of the Harbor Freeway to the Four-Level Interchange with U.S. 101 (Hollywood Freeway). 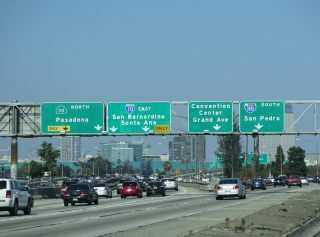 This section is partially signed as I-110 in the southbound direction, but not considered part of the Interstate highway. 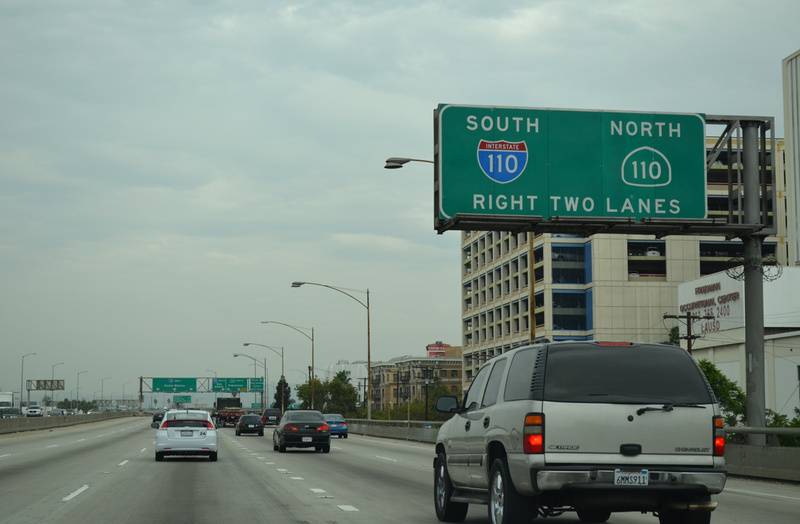 SR 110 continues northeast from U.S. 101 to I-5 (Golden State Freeway) and South Pasadena along the Arroyo Seco Parkway (Pasadena Freeway). Interstate 110 was commissioned between 1964 and 1968 along the westernmost extent of the San Bernardino Freeway. It linked I-5/10 with U.S. 101 and the previous alignment of I-105 east of Downtown Los Angeles. 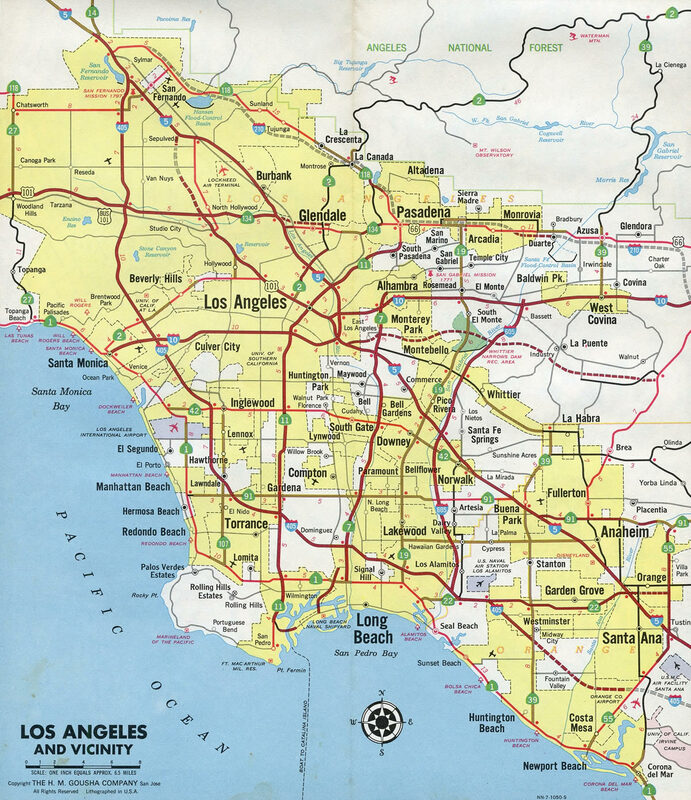 I-105 was subsequently dropped from the Santa Ana Freeway, leaving U.S. 101 alone south to I-5 and I-10. I-110 was renumbered as unsigned State Route 10. 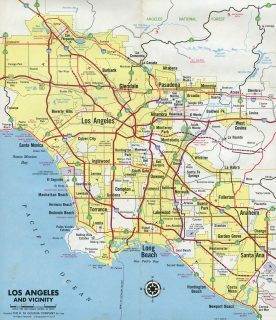 The American Association of State Highway and Transportation Officials (AASHTO) approved the deletion of both routes on June 30, 1970. 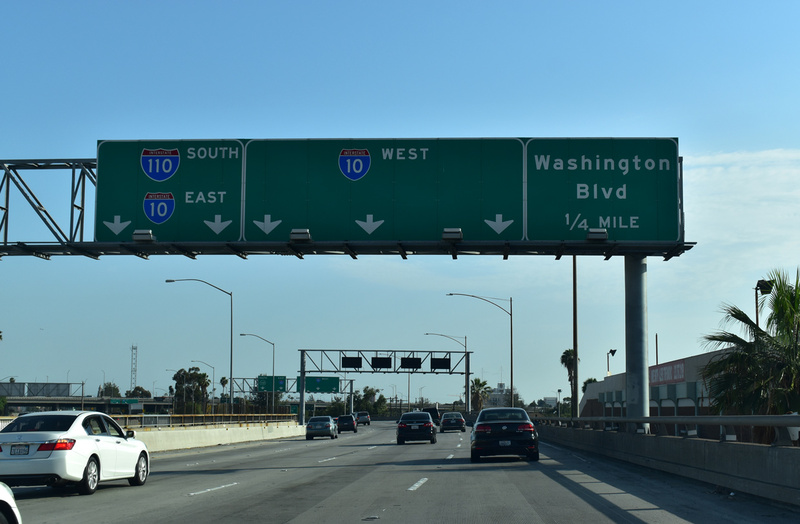 SR 11 was replaced by Interstate 110 while SR 7 became Interstate 710. 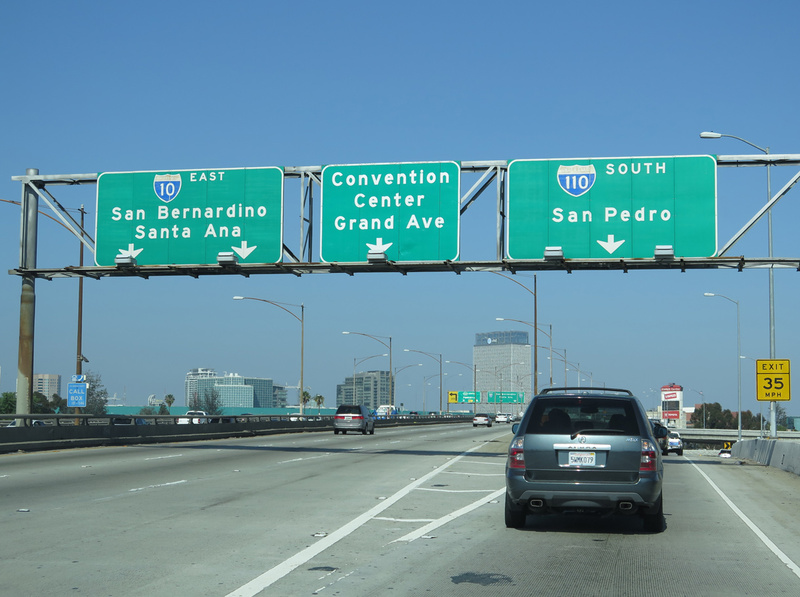 SR 7 was reused for a new border crossing linking I-8 with Mexicali in Imperial County. SR 11 is designated along a freeway between SR 905 and the Mexican border at Otay Mesa, San Diego. 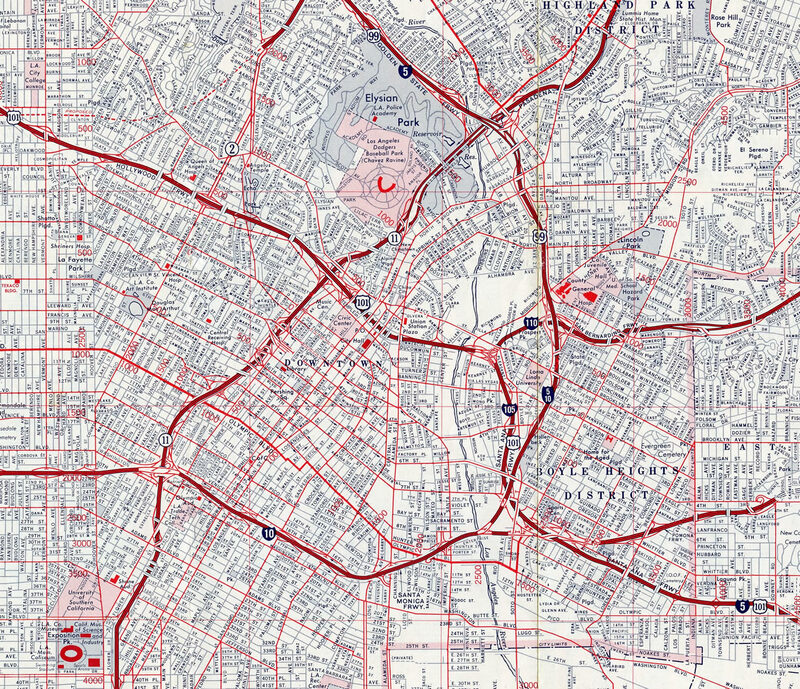 The short lived segments of Interstates 105 and 110 by Downtown Los Angeles in 1966. Interstate 110 was established again in 1978 along a different stretch of highway: the Harbor Freeway (California 11). 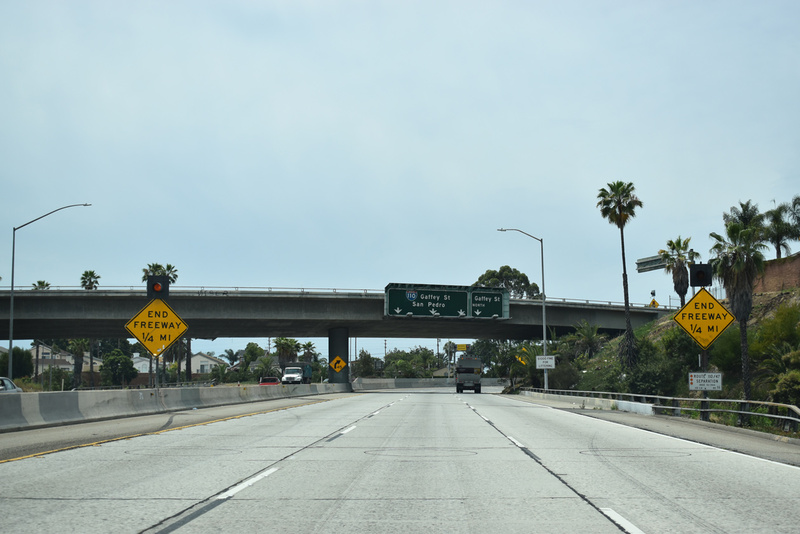 Having been built in stages through the 1950s and 1960s, the Harbor Freeway was one of the oldest freeways in the Los Angeles Basin. 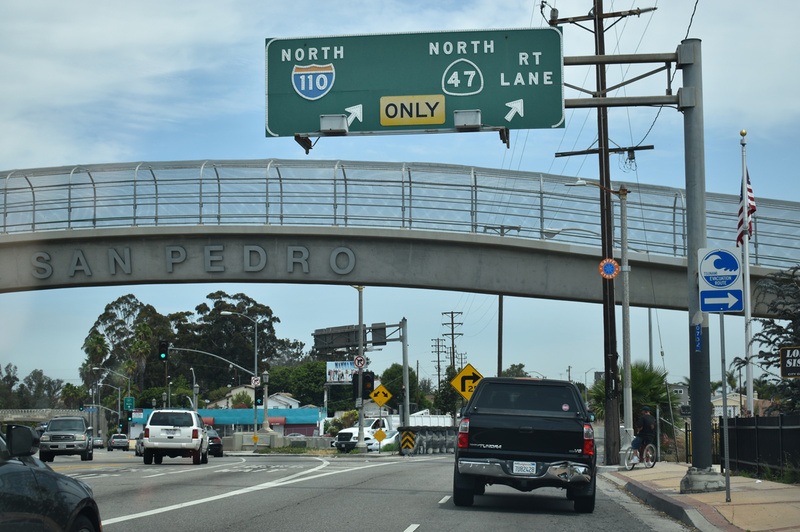 The first sections were constructed as part of U.S. 6, which previously followed Figueroa Street from Downtown Los Angeles to San Pedro. 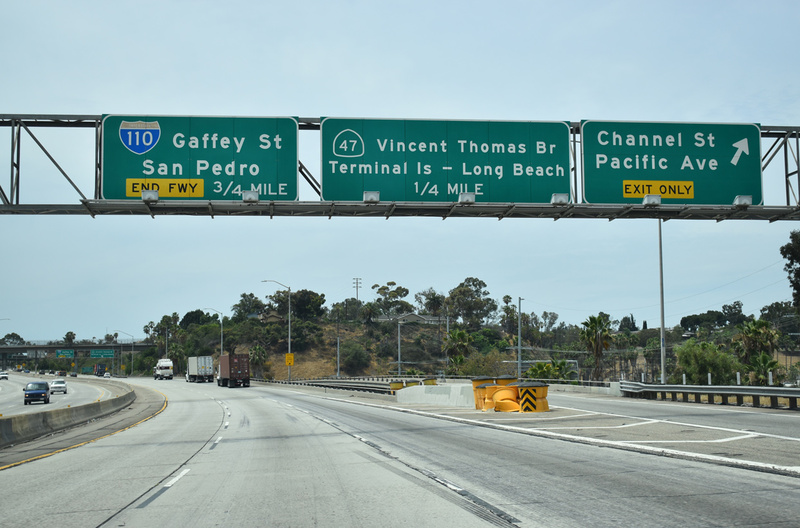 When U.S. 6 was decommissioned in 1964, the Harbor Freeway was redesignated as California 11. 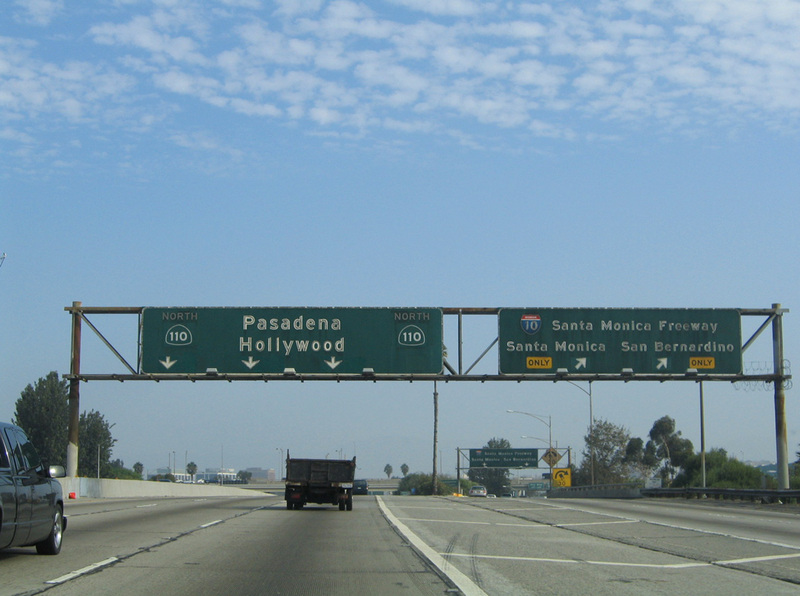 The state route also followed the adjacent Pasadena Freeway to the north. 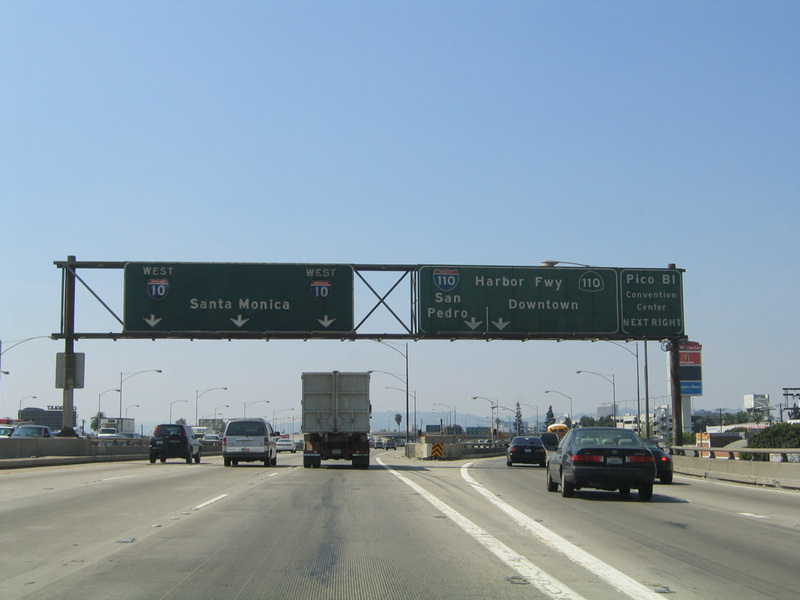 AASHTO approved the I-110 designation along the Harbor Freeway from California 47 to I-10 on June 25, 1979. 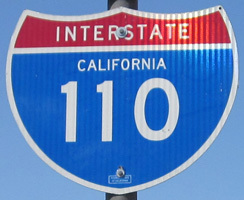 The remainder of California 11 was renumbered California 110. State Route 110 northeast from Chinatown to Glenarm Street in Pasadena follows one of the old alignments of U.S. 66. 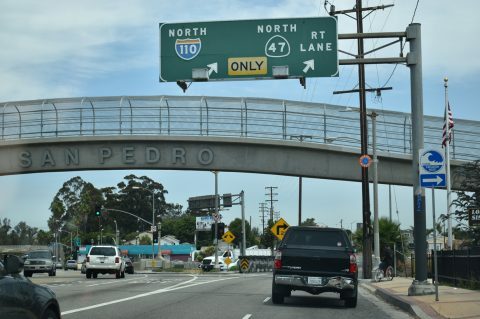 Built in the 1940s and 1950s, this section of SR 110 follows Arroyo Seco Parkway. 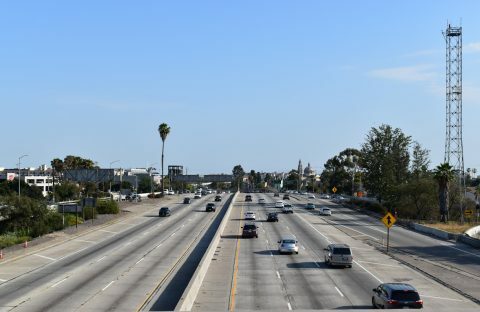 Many of the original sub-standard sections of the Arroyo Seco Parkway remain, including short acceleration and deceleration lanes, stop signs at the freeway entrance ramps, minimal shoulders, the Figueroa Tunnels, sharp turns and narrow lanes. Due to its historical status, many of these features will be not be modified. 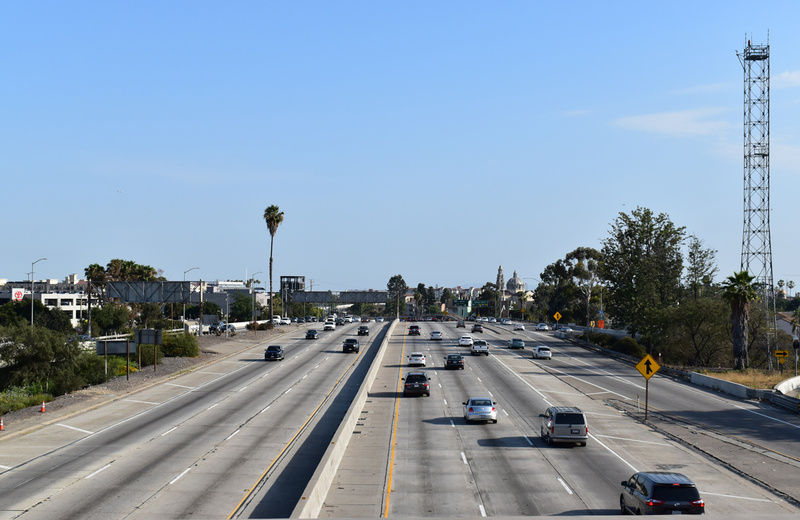 SR 110 previously extended both north of the Pasadena Freeway and south of the Harbor Freeway (I-110) along surface streets. The northern segment ran between Glenarm Street and Colorado Boulevard (former U.S. 66). 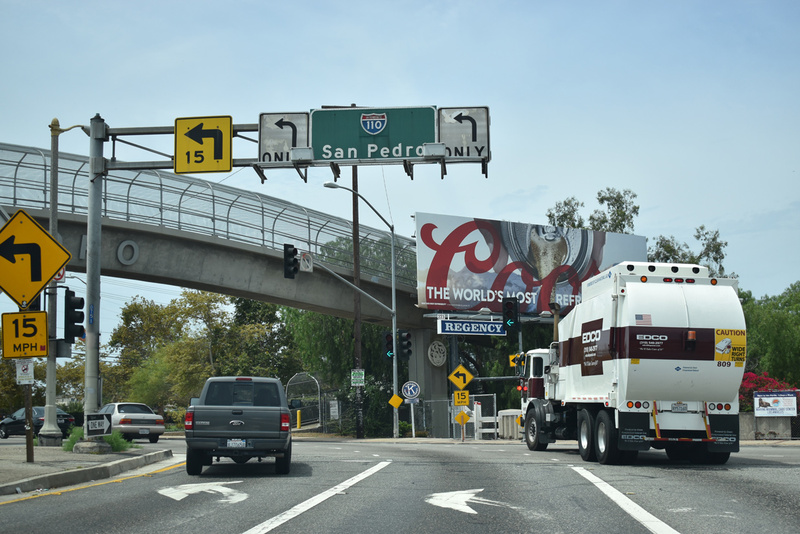 It was relinquished to the city of Pasadena on August 31, 2000.1 The southern leg of SR 110 followed Gaffey Street through San Pedro. 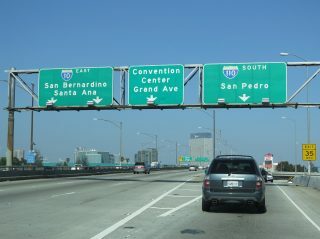 Relinquished by the state in June 2009, it connected I-110 with the cruise ship port. 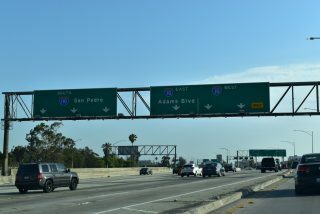 Heading north from Exposition Boulevard and the University of Southern California (USC), Interstate 110 reaches Exit 20C for Adams Boulevard as the transitway crosses over the freeway. Photo taken 09/25/05. 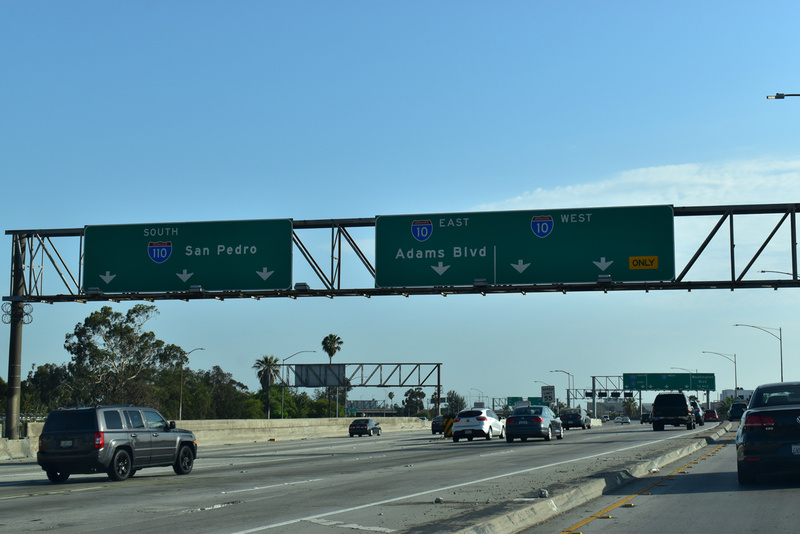 Exit 21 to Interstate 10 (Santa Monica Freeway) east to San Bernardino and west to Santa Monica departs a half mile north of 28th Street. Photo taken 09/25/05. 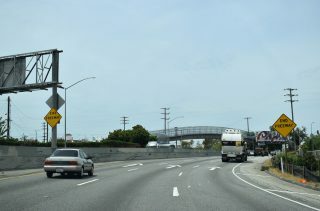 Passing below the intersection of 23rd and Figueroa Streets at University Park, an overhead sign references the transition to State Route 110 at the upcoming exchange with Interstate 10. Photo taken 09/25/05. Exit 21 departs at the north end of Interstate 110 for both I-10 and Pico Boulevard to the Los Angeles Convention Center. 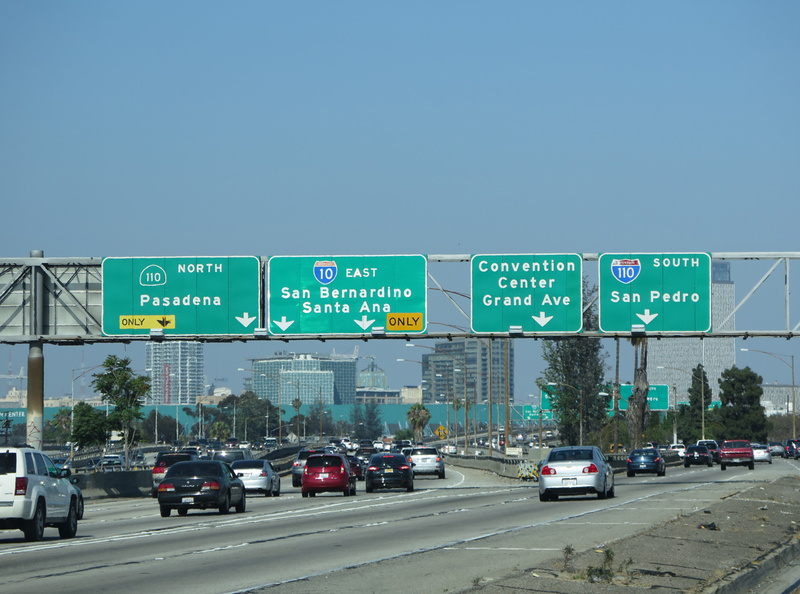 During commuting hours, the Harbor Freeway is frequently congested in the area around this interchange. Photo taken 09/25/05. 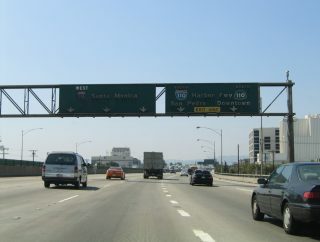 California 110 extends the Harbor Freeway northeast through Downtown Los Angeles to the Four-Level Interchange with U.S. 101 (Hollywood Freeway). Exit numbers continue the system from I-110 northward onto the Pasadena Freeway. Photo taken 09/25/05. SR 110 (Harbor Freeway) southbound expands with a c/d roadway from the 11th Street entrance ramp through the cloverstack interchange with Interstate 10 (Santa Monica Freeway). Photo taken 07/08/18. 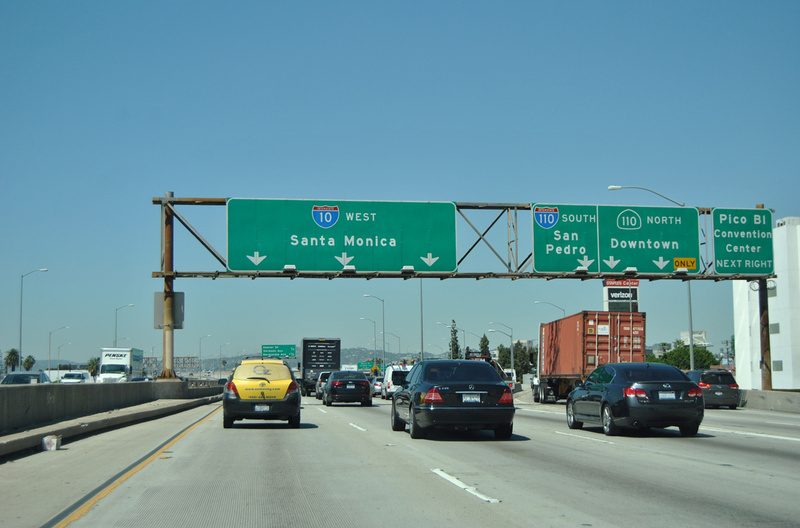 Following the c/d roadway to I-10, the westbound ramp for Santa Monica departs next. 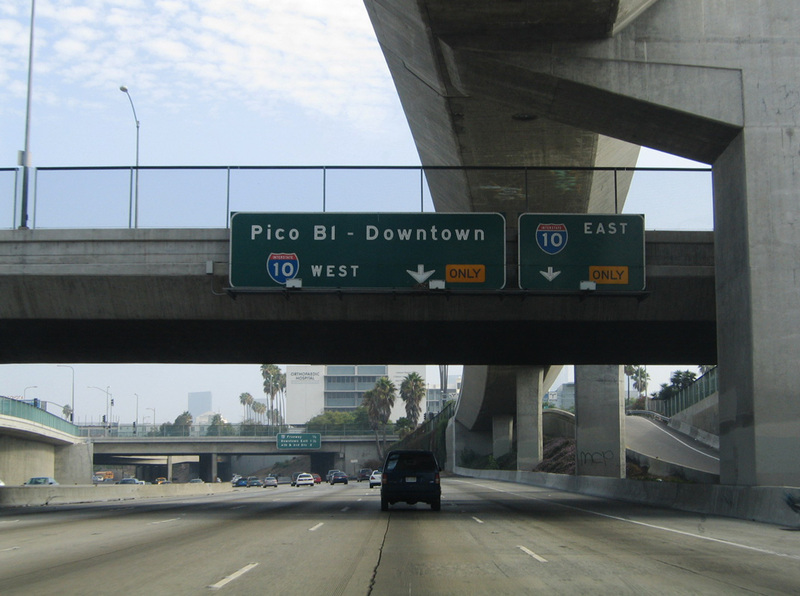 It includes local access to the Pico-Union neighborhood via Washington Boulevard. Photo taken 07/08/18. 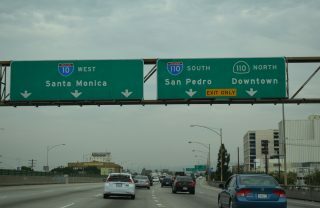 Despite the reference of SR 110 here, Interstate 110 takes over along the Harbor Freeway south from I-10 (Santa Monica Freeway) to San Pedro in south Los Angeles. Photo taken 07/08/18. The Santa Monica Freeway eastbound separates with an extended collector distributor roadway for I-110 (Harbor Freeway) south to San Pedro and Grand Avenue. A left exit departs from the mainline to SR 110 (Harbor Freeway) north to Pasadena. Photos taken 05/31/15. Westbound Interstate 10 (Santa Monica Freeway) reaches Exit 14A for Los Angeles Street and the LA Convention Center. The ensuing ramp connects I-10 with I-110 (Harbor Freeway) south and California 110 north. Photo taken 03/24/16. All traffic for I-110 south to San Pedro and California 110 north to Downtown Los Angeles and Pasadena departs in unison from I-10 west at Exit 13. Photo taken 07/14/14. 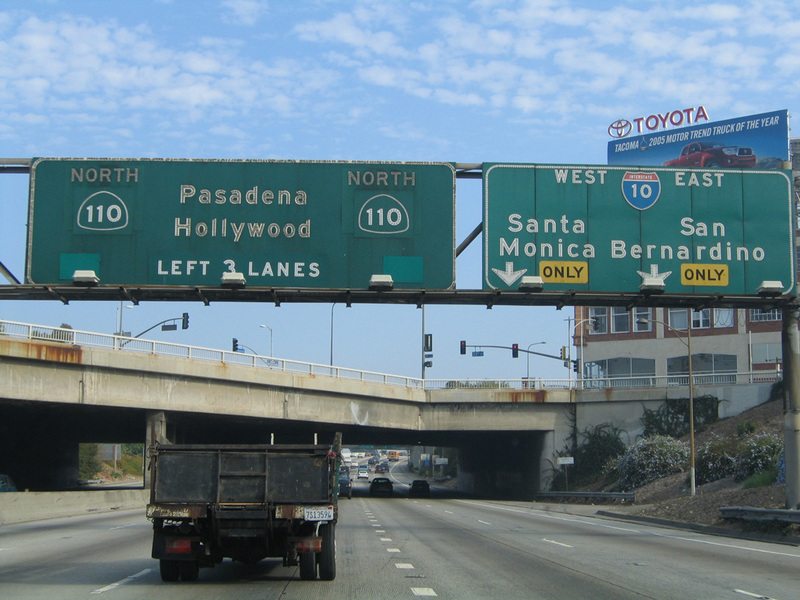 Interstate 110 serves interests to the University of Southern California (USC) and the LA Memorial Coliseum. 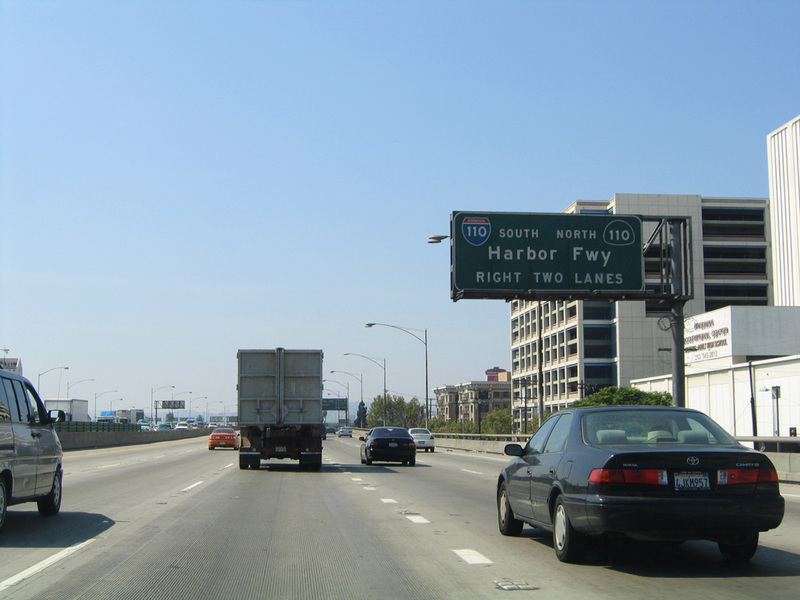 The Harbor Freeway Transitway is also available for high occupancy vehicles along southbound I-110. Photo taken 07/14/14. 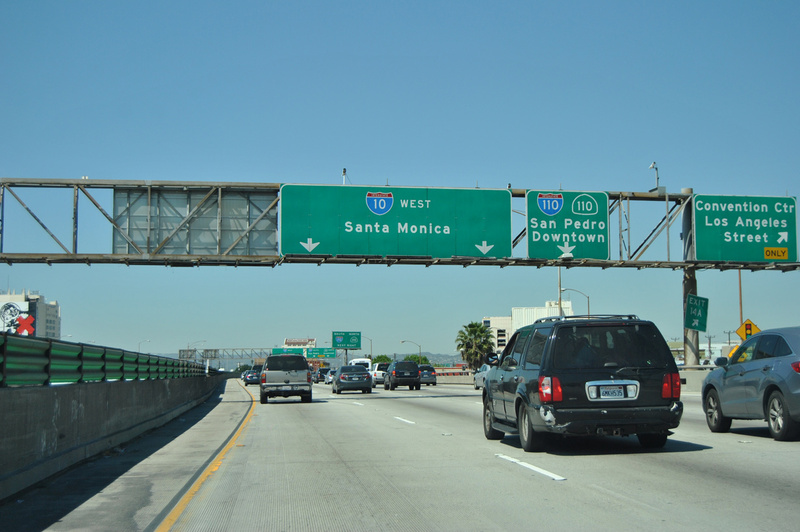 Exit 13 separates from the Santa Monica Freeway westbound above Grand Avenue. 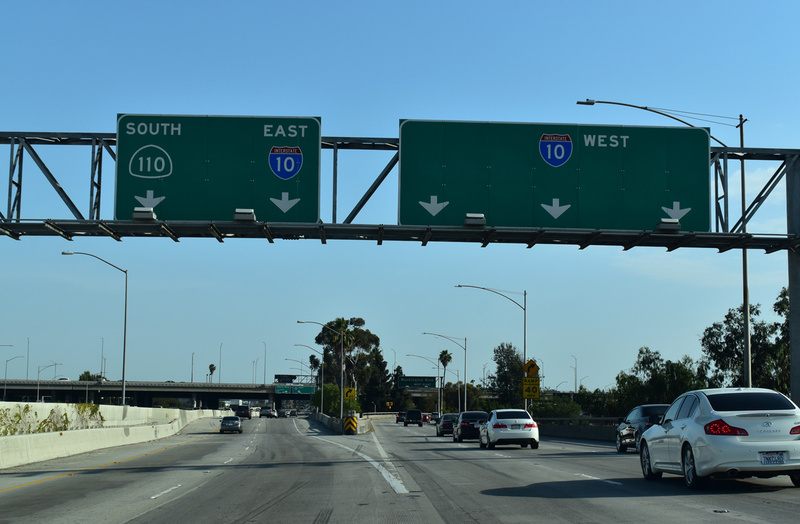 A cloverstack interchange joins I-10 with I-110 south and SR 110 north. Photos taken 07/14/14. 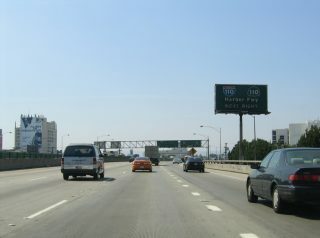 One mile ahead of I-110/SR 110 (Exit 13) on Interstate 10 west. Photo taken 08/24/04. 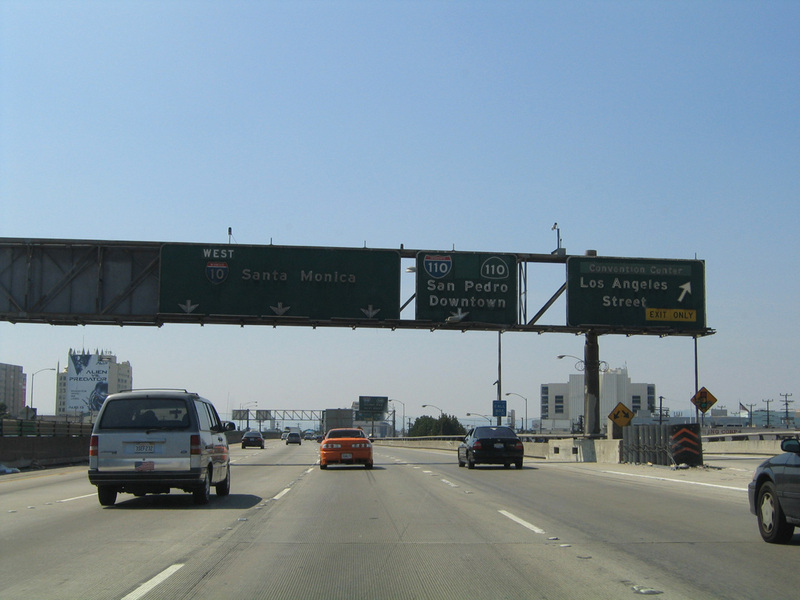 This set of button copy signs was carbon copied with fully reflective signs by 2008. 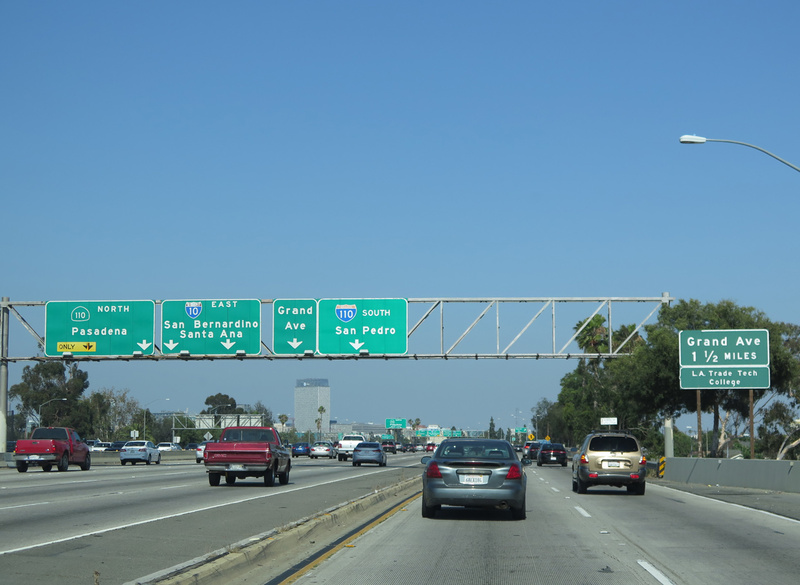 A gore sign for Exit 14A was added, but the panel for I-110/SR 110 remained unnumbered. Photo taken 08/24/04. 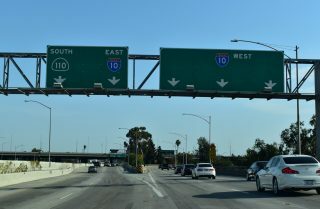 Both Interstate 110 and California 110 are the Harbor Freeway as far north as the Four Level Interchange with U.S. 101. 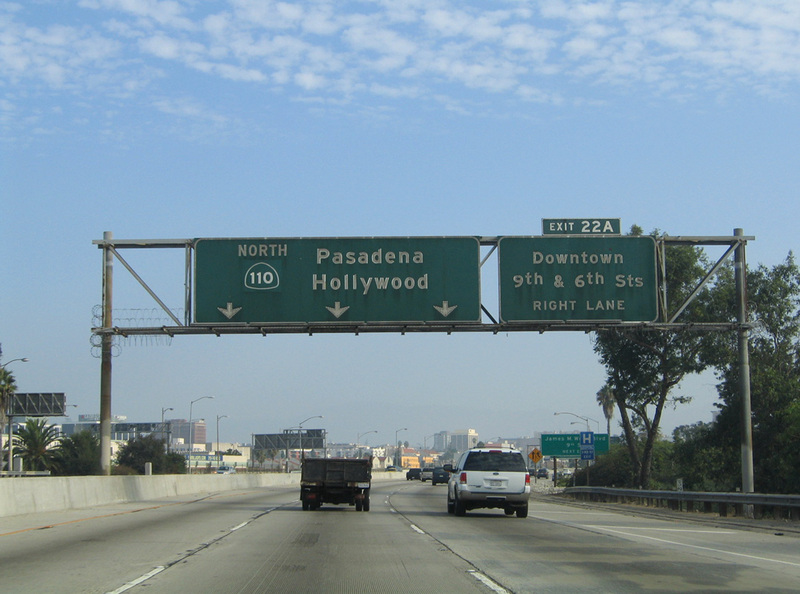 The Harbor Freeway directly transitions into the Pasadena Freeway (old Arroyo Seco Parkway) northeast of the Four Level Interchange. Photo taken 08/24/04. 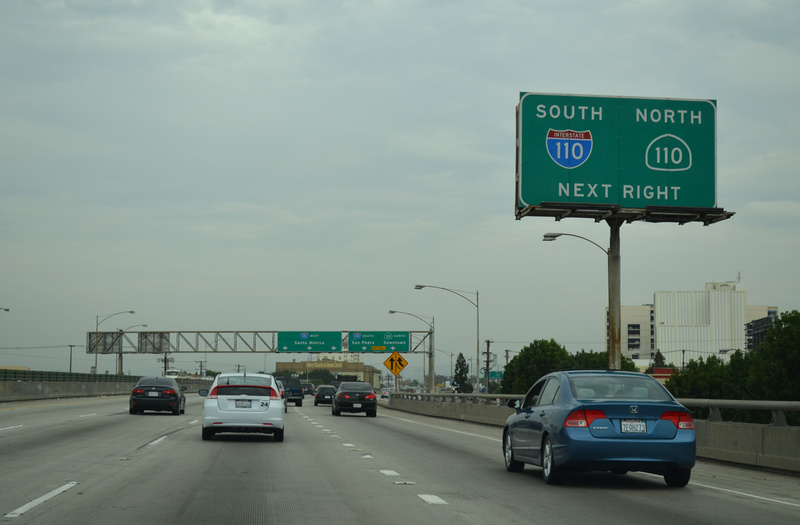 Green outs on guide signs for I-110 and SR 110 covered up shields for SR 11 or U.S 6. 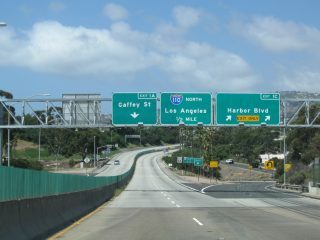 U.S. 6 followed the Harbor Freeway from the Golden State Freeway (U.S. 99 / I-5) south to the Pacific Coast Highway (U.S. 101 Alternate / SR 1). 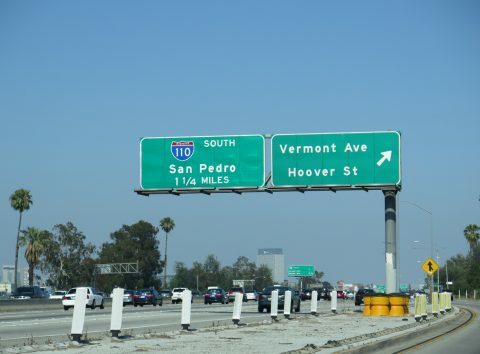 Signs for U.S. 6 were removed from the Harbor Freeway in 1964, the same year in which U.S. 6 was decommissioned south of Bishop. Photo taken 08/24/04. 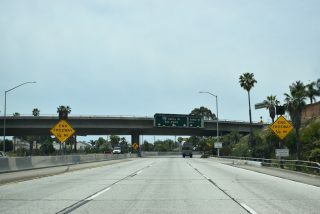 Much of this stretch of Interstate 10 is on an elevated viaduct, parts of which were damaged during the 1994 Northridge Earthquake. 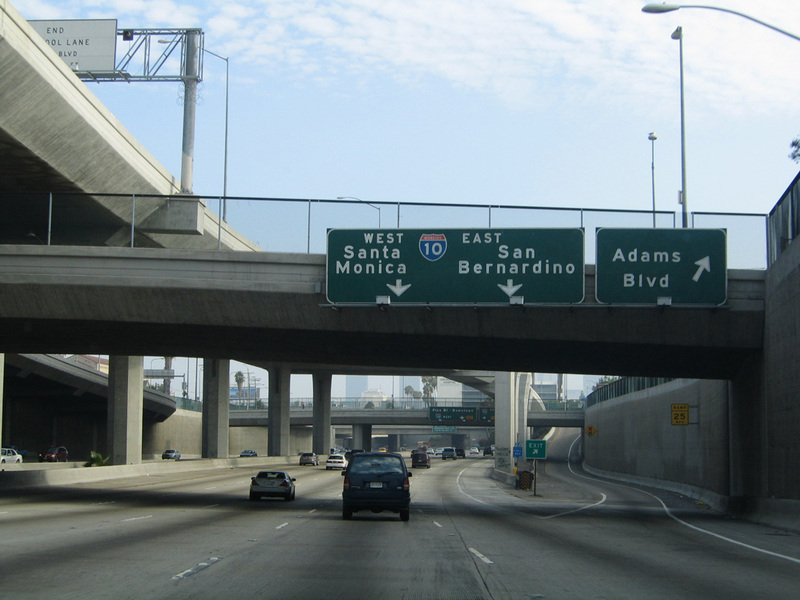 Retrofitting projects resulted in viaducts and bridges that can withstand stronger earthquakes without collapsing. Photo taken 08/24/04. This set of button copy signs was replaced by 2008 to display the same information. Exit numbers were not added for the Harbor Freeway ramps. Photo taken 08/24/04. SR 47 (Seaside Freeway) stems east from the south end of I-110 across the Vincent Thomas Bridge onto Terminal Island. The state route connects the Harbor Freeway with the Gerald Desmond Bridge (I-710) to Long Beach. Photos taken 07/09/18. 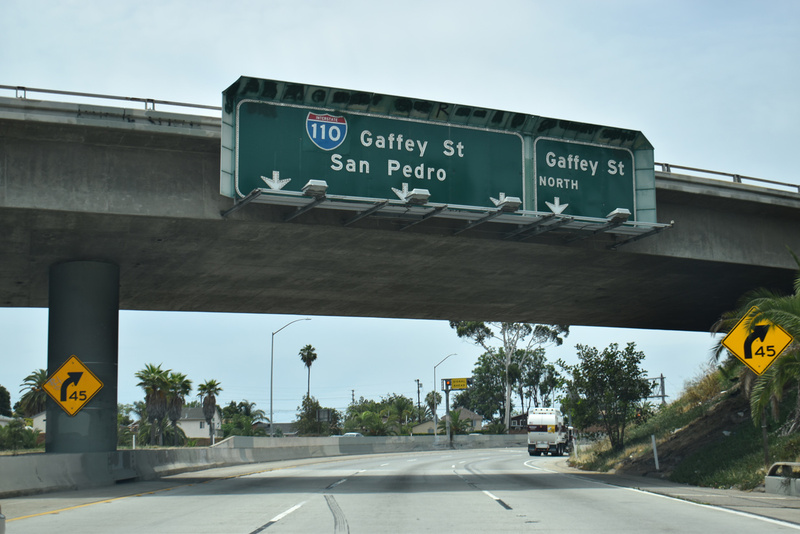 Interstate 110 southbound concludes at a directional T interchange with SR 47 (Seaside Freeway) east and Gaffey Street at San Pedro. Photos taken 07/09/18. 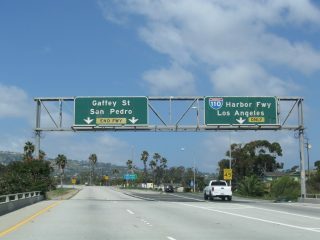 Gaffey Street (former SR 110) leads 2.8 miles south from I-110 in San Pedro to Point Fermin Park on the Pacific Ocean. Photo taken 07/09/18. 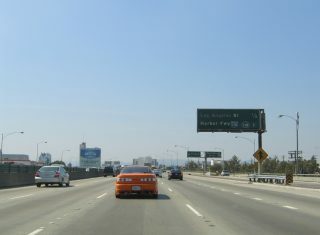 Two lanes split from Gaffey Street northbound for Interstate 110 (Harbor Freeway) and adjacent California 47 (Seaside Freeway). Photo taken 07/09/18. 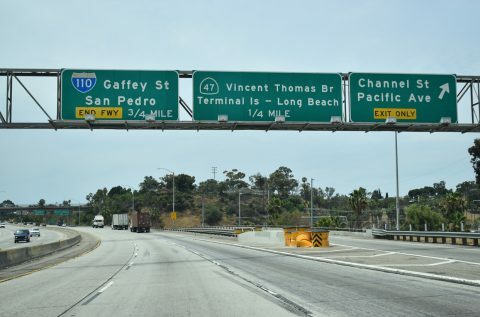 California 47 begins at Interstate 110 in San Pedro and crosses the Vincent Thomas Bridge east to Terminal Island and the Ports of Los Angeles. 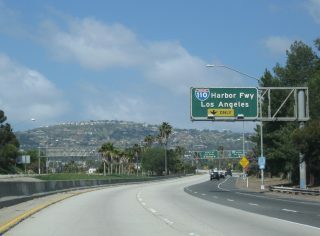 I-110 heads north to Harbor City in Los Angeles and the city of Carson. Photo taken 07/09/18. 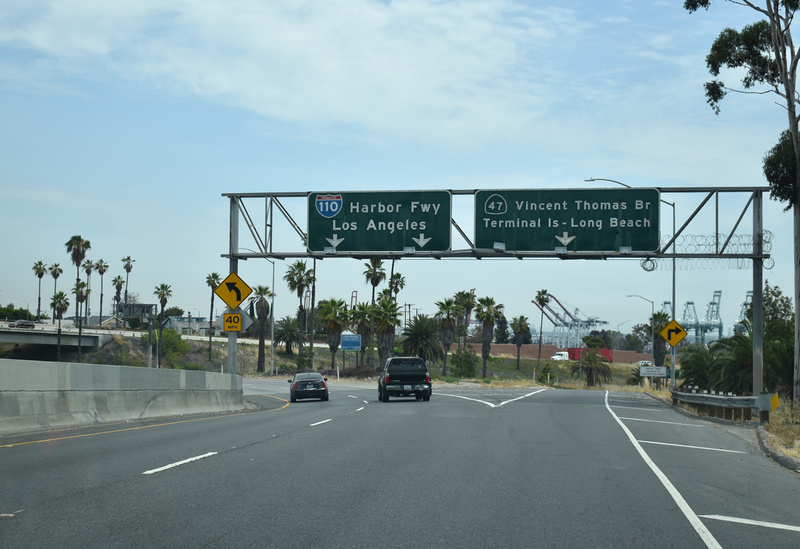 SR 47 (Seaside Freeway) lowers from the Vincent Thomas Bridge at Harbor Boulevard, one half mile from I-110 (Harbor Freeway). Photo taken 05/02/10. 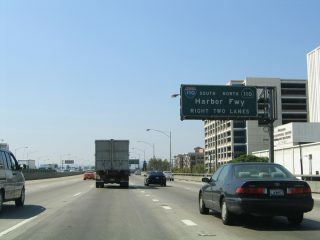 Three lanes proceed west along the Seaside Freeway to the full-Y interchange with the Harbor Freeway. Photo taken 05/02/10. 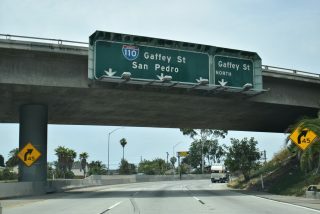 California 47 ends with two lanes defaulting on the I-110 connection with Gaffey Street in San Pedro, Los Angeles. I-110 north travels to Wilmington and Carson. Photo taken 05/02/10. California Highways – Routes 105 through 112.